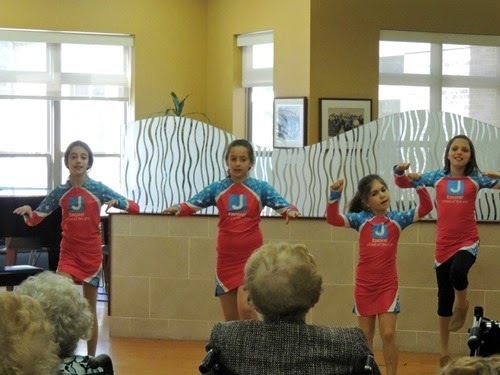 Gabbie’s Performance Team had a performance this past weekend and they got to wear there new uniforms for the first time. 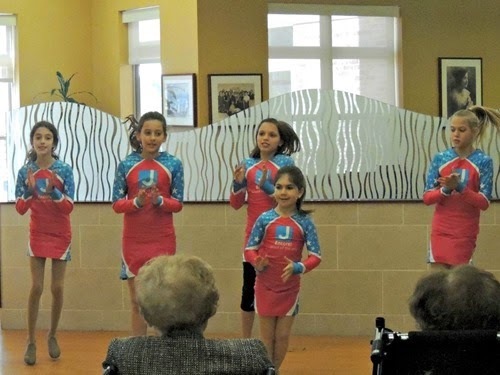 I tried a different setting on my camera to see if I could get pictures that weren’t blurry, and that worked, however the pictures turned out grainy. 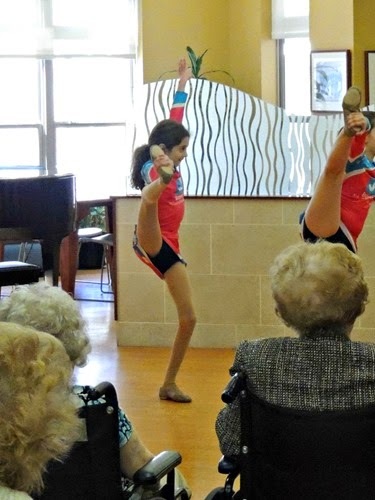 I get very frustrated when trying to get my pictures right! 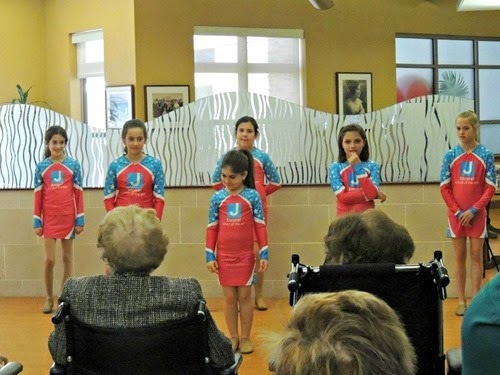 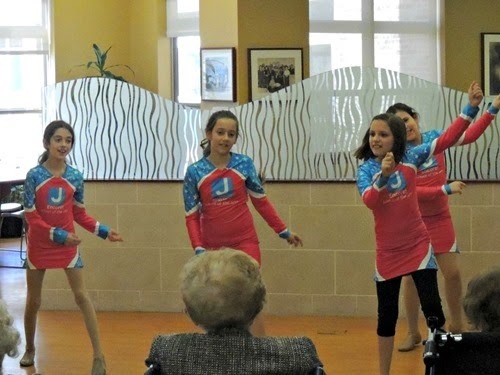 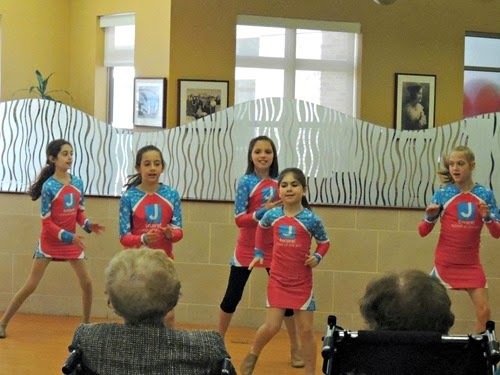 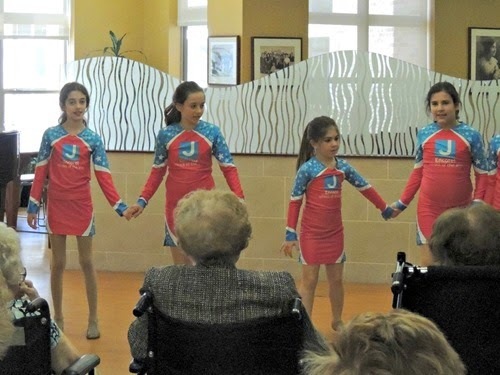 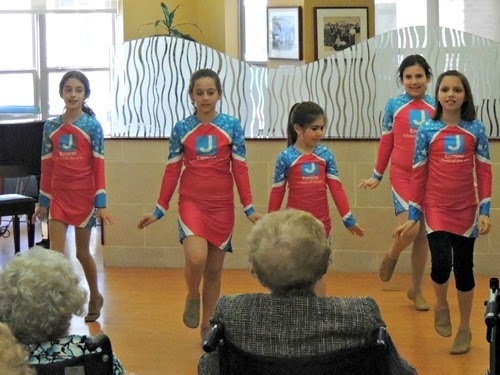 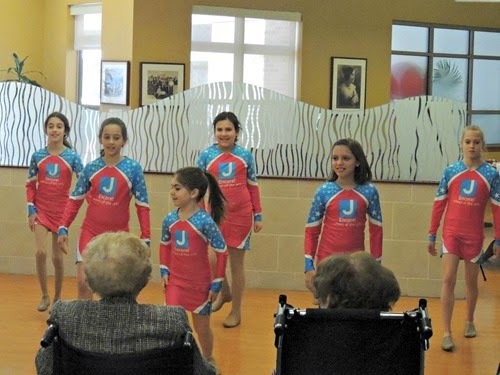 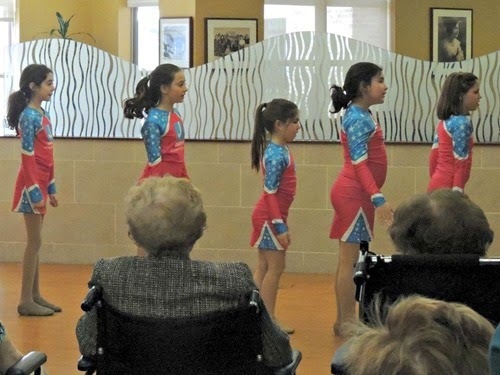 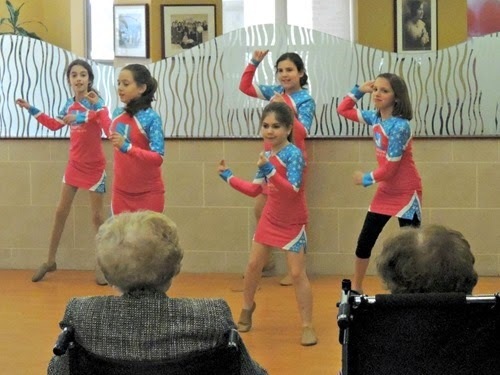 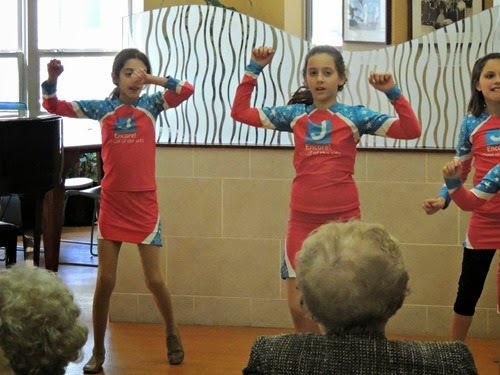 In any case, the girls are so cute and the nursing home residents seemed to enjoy their dancing! 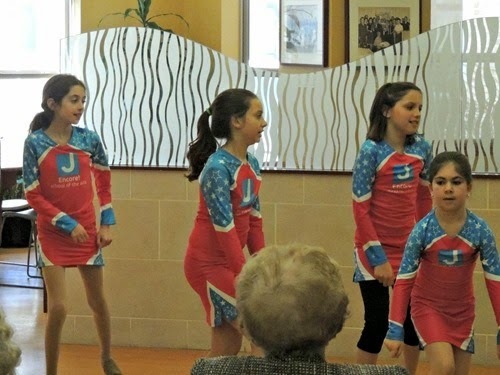 Any hints on how to take good photos of moving people?